ESIC Recruitment 2018 2019 Application Form for 59 Medicine, OBG, Biochemistry, TB & Chest, Paediatrics, Anaesthesia, CT/MRI/Radiolog y Posts Download Application through Official website www.esic.nic.in. ESIC Senior Residents (SR) Jobs Notification 2018 Released. 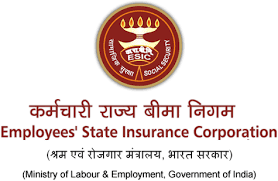 ESIC invites Walk in Interview for appointment in following Senior Residents (SR) post in Employees State Insurance Hospital, Basaidarapur, New Delhi. Candidates are requested to Download Application through Official website www.esic.nic.in. Prospective candidates will have to before Walk in Interview carefully reading the advertisement regarding the process of examinations and interview, eligibility criteria, Offline registration processes, payment of prescribed application fee/intimation charges, ESIC pattern of examination, ESIC Syllabus, ESIC Question Paper, ESIC Walk in Date, ESIC Result Date etc. *3% of total 37 posts are reserved for the person with disabilities (PWD- OL, OA, & ND). Not exceeding 35 years as on 31-03-2018 (Relaxation for OBC/SC/ST/PWD as per rule) OBC candidates are required to submit latest OBC Certificate as per Central Govt. Proforma (not more than one year old).